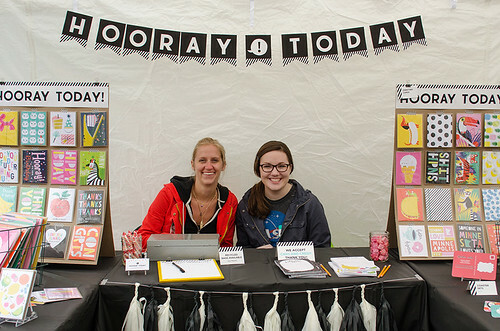 LIGHT GREY ART LAB: Makers Market- Recap! We just finished up the Annual Whittier Neighborhood Art Crawl, Makers Market, and want to send a huge thank you to everyone who participated, stopped by Light Grey Art Lab, and supported the arts this past weekend! 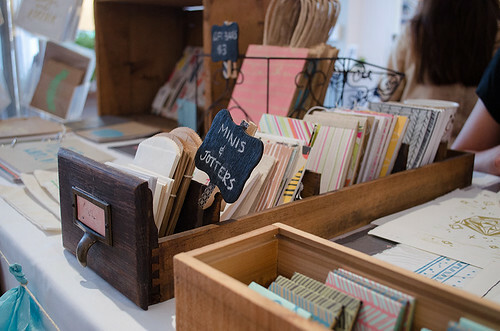 We had a great time meeting all of you, sharing our space, and exhibiting some of the local crafters, makers, and designers. 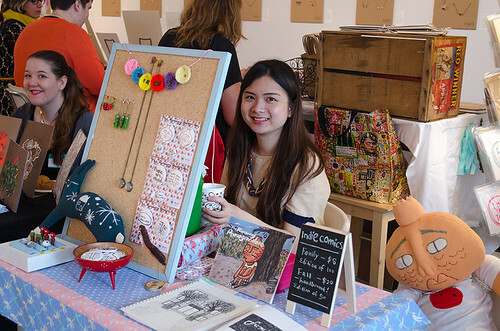 Local artists displayed some of their handmade goods, t-shirts, screen prints, books, originals and more! You could find illustrated art books by Jo Yeh, colorful cards and stationary by Hooray Today, and lots of tiny felted objects by Yinfan Huang among others. Light Grey Art Lab was just one of several galleries hosting the events, representing a diverse group of artists, communities, and exhibits. Accompanying the art sale, Light Grey hosted a public game night and cookout for visitors and participants. The event was party themed games, such as Masquerade and Skulls & Roses, offering a fun, relaxed, and energetic night- It was a great chance to get to know some of the other artists and contributors! We also opened up our adjunct gallery to the summer-long Light Grey Pop-Up Shop! From now until July 20th, we will be exhibiting and selling original works of art, pottery, prints, collaborative projects, zines, and more! The collection of available artwork will be rotating throughout the pop-up shop, with many sales, featured artist works, and framed pieces. You can view some of the available works on the Light Grey Shop or stop by in person- we would love to show you around and share some of the upcoming projects! We appreciate your support and the support of local makers! Mark your calendars for June 28th for the next outdoor art event, Art Fest! We will have hundreds of prints and projects available for purchase and viewing! More details to come. BlueHost is ultimately the best web-hosting company for any hosting services you might need.